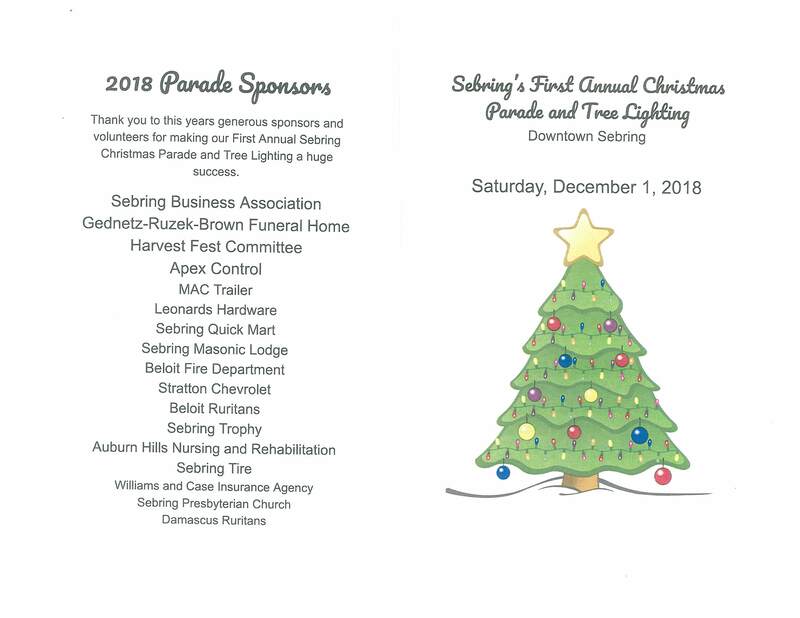 We are excited to announce that we will be hosting our first annual Christmas Parade in Sebring!! 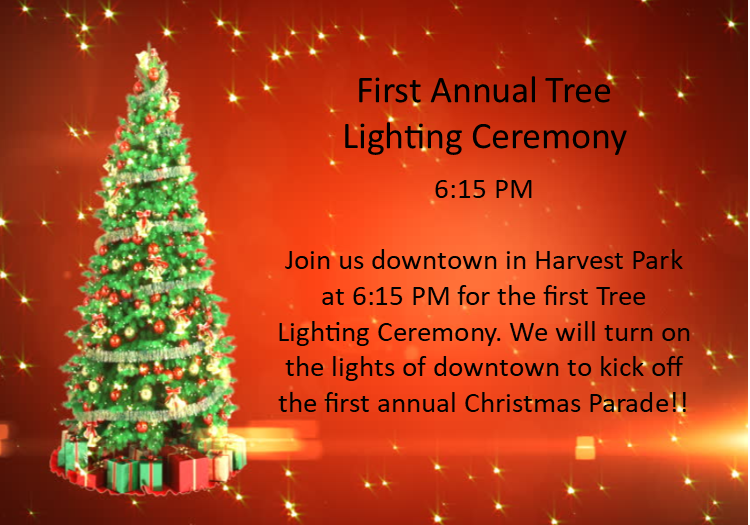 CHRISTMAS CAROLS start at 5:00PM at Harvest Park, along with games and face painting and some downtown CHRISTMAS SHOPPING, followed by the TREE LIGHTING CEREMONY at 6:15 PM. 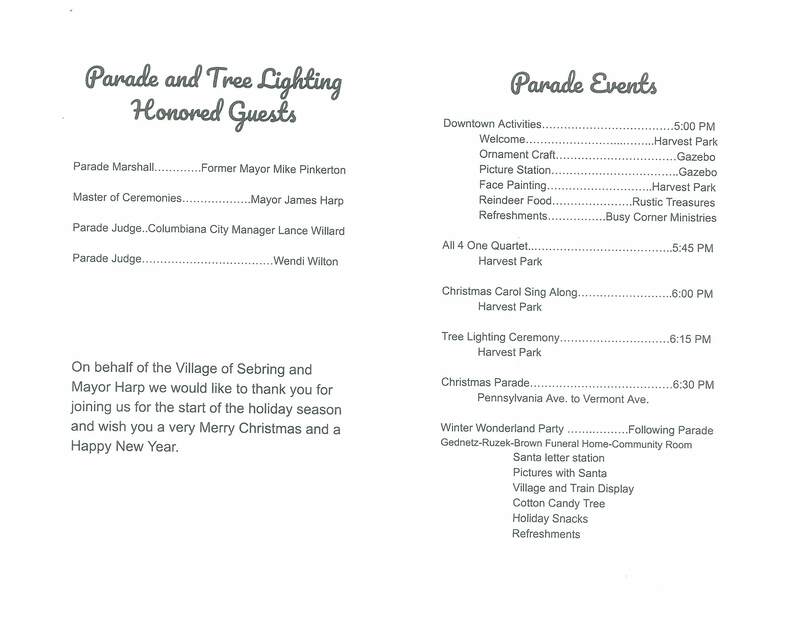 The GRAND PARADE will kick off at 6:30PM, beginning at Pennsylvania Ave and heading north on 15th Street, escorting SANTA to the WINTER WONDERLAND PARTY in the COMMUNITY ROOM at Gednetz-Ruzek-Brown on Vermont Avenue, where there will be holiday treats, kids activities, and of course pictures with the man himself SANTA! We look forward to kicking off the holiday season right! For more information call Sam Barnhouse 330-277-3091 or Chris Brown 330-506-2900 or stop by Leonard Hardware.